WWF started work in Uganda in 1992 as a project coordination office, and in 2009 it evolved into the WWF Uganda Country Office (WWF UCO). 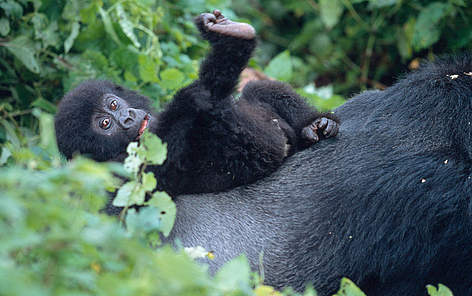 Through UCO, WWF has been supporting a number of conservation efforts, including working with government agencies and supporting sustainable development pathways, empowering civil society, the poor and vulnerable communities; to engage in natural resources management, and working with the business community towards responsible trade and sustainable natural resource development. The goal of WWF Regional Office for Africa (WWF ROA) is to ensure that through the activities of WWF-UCO and that of other sector players, biodiversity and biological processes in Eastern Africa, and particularly in Uganda, are conserved in harmony with the aspirations of the people of Uganda. The WWF UCO plays an integral part of WWF’s Global mission in East Africa. Uganda is a landlocked country in East Africa and has a number of natural resources and physical features, consisting of the Savannah plateau with mountains, rivers and lakes. "The Pearl of Africa," wrote Winston Churchill of this former British protectorate that embraces Lake Victoria, source of the River and the misty Ruwenzori Mountains—a home of the endangered mountain gorilla. East African savannas and the West African rainforests meet in Uganda, giving rise to a stunning ecological portrait. Forests, woodlands/savannas, wetlands, and open water (lakes) are all represented here, and the country can lay claim to more than half of all African bird species (10% of bird species globally). Some 345 mammals species have been identified in Uganda, the highest mammal species count in Africa after the Democratic republic of Congo (DRC). Uganda is endowed with over 50 minerals, ranking it among the countries in Africa with the biggest number of minerals, which include copper, cobalt, diamond, gold, oil, kaolin, lime stone, marbles, phospates, Uranium, glass(silca sand), wolfram, nikel,diamond, tin, titanium, natural gas, iron ore, lead, granite, soapstone, asbestos, and the platinum group minerals like palladium, and platinum-palladium. Agriculture is the most important sector of the economy, employing over 80% of the work force. The chief food crops are cassava, sweet potatoes, plantains, millet, sorghum, corn, and pulses. The principal traditional cash crops are coffee, cotton, tea and tobacco. New additions include cut flowers, beans, maize and sugarcane. Large numbers of poultry, cattle, goats, and sheep are raised. There is a sizable fishing industry as well.